NTSE Application Form 2018 is available for some states now. All the students who wish to appear in NTSE scholarship exam have to fill NTSE form for their state or UT as applicable. NCERT has released the list of NTSE Liasion Officer list and students can get in touch with them or visit the NTSE official website of their state to fill the NTSE form 2018. In this page, we have explained the process to fill the NTSE application form, steps to apply, documents required. We are continuously tracking all the NTSE forms and we will update all the information regarding the NTSE Application form 2018 on this page. Students can keep visiting this page or can also register for NTSE Exam alerts with us and we will send you the latest updates on your Mobile phone. Chhattisgarh NTSE Registration has started on 1 August. NTSE 2018-19 Application Form for all the States & UT will be available on this page as soon as it releases. NTSE 2018-19 Application form will be released officially by the respective state government and UTs separately. Therefore, NTSE Application Form dates and deadlines may vary from state to state. The candidates studying in class 10 are only eligible to apply for NTSE 2018-19 from their respective state/union territory, however, there is no domicile restriction. The candidates can apply online as well offline, however, they need to submit NTSE Application Form 2018-19 to their respective liaison officer. The candidates are also advised to read NTSE eligibility before filling NTSE 2018 online registration. This page gives information of NTSE 2018 Application Form, Eligibility Criteria, NTSE Application for Indian students studying abroad, FAQs etc. Scroll down to read more on NTSE 2018-19 Application Form for all States and UTs. NTSE is conducted in two stages, NTSE Stage 1 and NTSE Stage 2. Every state and union territory will release NTSE Application form separately on various dates. The candidates are advised to register for FREE SMS updates on NTSE 2018-19 Application form below. The candidates can fill NTSE Application form by following the link to their respective States & UTs (Given in the table below). It is the sole responsibility of the applicant to fill the application forms more carefully and correctly failing which may lead to the cancellation of the candidature of the students, it would be advisable to the candidates to seek the help of their teachers or guardians. The candidates would be able to fill the application form through online mode tentatively from August to September 2018. (The deadline for the application would vary from state to state). The candidates willing to apply for the NTSE scholarship should ensure their eligibility before applying for the NTSE Scholarship. The Indian students who are applying for NTSE Stage 1 can check basic NTSE Eligibility Criteria. Please keep in mind, the state may impose eligibility criteria as per their norm. NTSE Application Form is filled in both online and offline mode which may vary for different states. Last year, the application form for few states like Punjab, Gujarat, Haryana, Kerala, Maharashtra, Odisha and West Bengal were available in online mode and for rests of the states it was offline mode, further, they had to take the printout of the application form and submit it to the respective state's education offices whose address is already mentioned on the application form. NTSE Stage 1: It is conducted by the State Government and UTs. The candidates who qualify NTSE Stage 1 have to next appear in the next stage of the examination. NTSE Stage 2: It is conducted by NCERT(National Council of Educational Research and Training), Applicants qualifying the NTSE Stage 2 Examination are awarded the scholarships. NTSE 2018-19 Application Form for all states and union territory will be available here as soon as it releases. As per latest update, Chhattisgarh NTSE 2018-19 Application Form is available now. The Application dates and deadlines may vary for different states and UTs. The candidates can also be able to check NTSE Result for different states here. Scroll down to apply for NTSE 2018-19 Application form. Once a candidate has received the Application Form, he/she will have to fill it with extreme care. The duly filled in Application Form has to be signed by the Principal of the candidate's school. Thereafter the duly filled in and Signed Application Form has to be submitted to the Principal of the school who in turn will submit it to the respective State/UT Liaison officer before the last date specified if applying through school. But if in case a candidate is applying individually then he/she has to submit it directly to the State Liaison Officer. Individual State & UT conducts their own Exam so the last date to submit the NTSE Application form usually differs. NTSE Question Paper is different for the stage for each state and UT but the exam is generally conducted on the same date and is in a similar pattern. Many states have opted for the online application form. The NTSE online application makes the process of application filing and submission fast and leads too fewer errors. The states that will accept NTSE online form for stage 1 are as follows. Only a few states/UT accept the NTSE Online form and rest all have an offline application. The Application Form available Online or with State/UT Liaison officer is only applicable for Stage 1 exam. Candidates have to pay the Application Fee as prescribed by their respective State/UT. As the NTSE Scholarship Scheme is merit-based and there is 15% reservation for SC students, 7.5% for ST students, 3% for Physically Challenged Students and 27% for OBC students. The followings are applicable in NTSE Stage 2. While filling the NTSE application form candidates or the principal have to leave the 4-digit Center code blank, this has to be filled by the liaison officer or concerned district officer or Center Superintendent. How can I apply for NTSE from my state? Every state and union territory will release details notification on the leading newspaper and it will be available on this page as well. Apart from that, the candidates can contact the state liaison officer. The state-wise contact detail of Liaison officer is available on this page. Where can I apply for NTSE 2018 for my state? You can apply either online or offline for NTSE. The mode of application may vary from state to state. However, the candidates need to submit the application form to the Liaison Officer of their respective state. What is the Application fee for my state? Every state may impose any application fee for NTSE Stage 1 Application Form. It will be notified with the release of NTSE Application Form. Do I need to apply again for NTSE Stage 2 if I qualify NTSE Stage 1 exam? No, the candidates who qualify NTSE Stage 1 are eligible to appear in NTSE Stage 2 without applying again. I am studying abroad. Am I eligible for NTSE? Yes! However, the overseas Indian students can appear directly in the NTSE Stage 2 exam. Please also check eligibility criteria as well. I am studying in abroad. How can I find the application form? The Indian student studying abroad can apply through the official website of NCERT. The application link/page will also be available on this page. The INDIAN Students studying abroad are eligible to appear directly in the NTSE Stage 2 Exam. However, they need to apply for NTSE Stage 2 on the official website of NCERT. NTSE Stage 2 application form for Indian students studying abroad will also be available on this page below. It is advised to go through the eligibility criteria before applying for NTSE Stage 2 Exam. The link to apply for NTSE 2018-19 Stage 2 will be available below. NTSE Liasion officers detailed contact details are given below. In the case of any ambiguity in information regarding NTSE Application form, Candidates can contact the Liaison officers of the respective states. 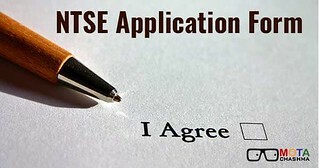 Offline NTSE Application form can be obtained from each state liaison officers and also it must be submitted to them along with the application fees. If a candidate has any query related to NTSE 2018-19 Application Form, he/she can write in the comments section below.